I like burritos, I like ’em more when they’re free. 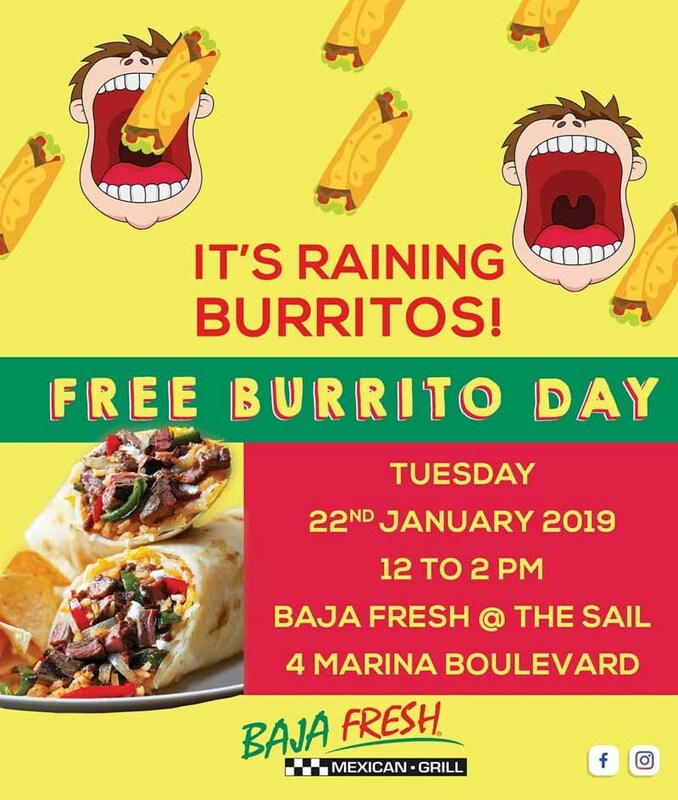 Mark your calendars because on 22 January 2019, Baja Fresh Mexican Grill at The Sail-Marina Bay is having Free Burrito Day. Yup, you read that right. 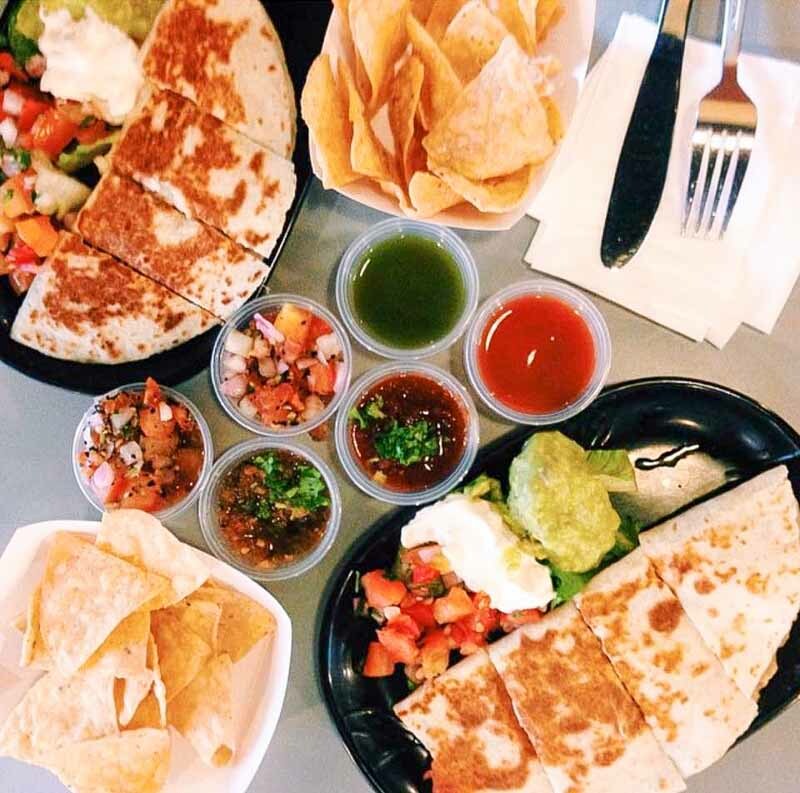 On the 22 of January, head down between 12pm – 2pm to snag yourself either an Ultimo Chicken or an Ultimo Veg Burrito. 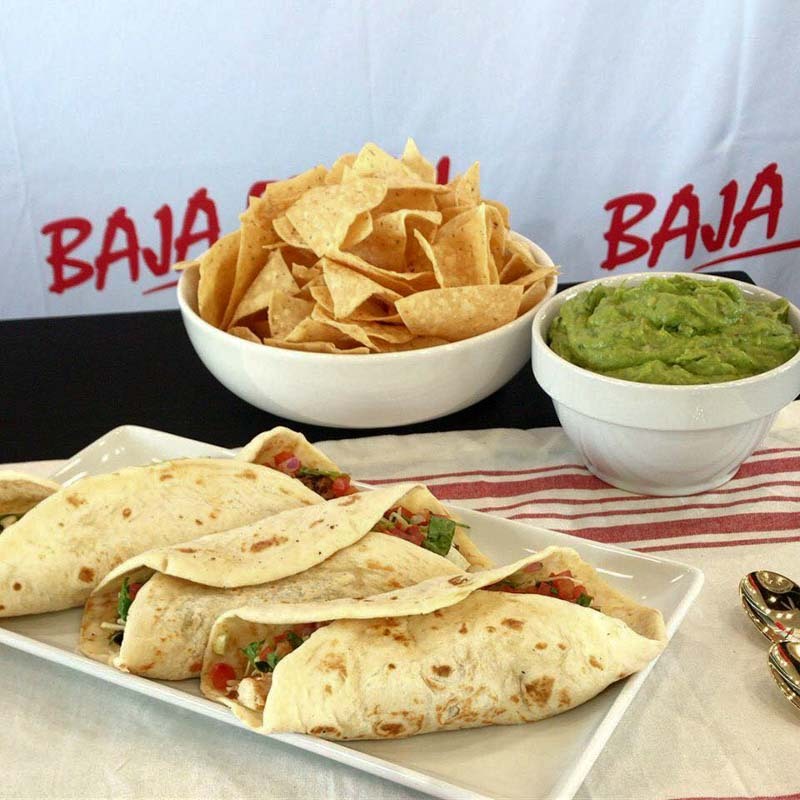 Baja Fresh Mexican Grill serves up top-notch Mexican dishes, such as burritos, tacos and quesadillas. Having been around for seven years, you can rest assured that the free lunch you’re getting is going to be finger-lickin’ good. When it comes to free things, you know Singaporeans will be the first ones to chiong there. To make sure you don’t miss out, click ‘Going’ on their Facebook page. I guess there is such a thing as a free lunch. Don’t say, bojio.